The understanding of certain universal concepts always seems to transcend the mainstream in the way they are used in the African context. One of such popular terms is youth. 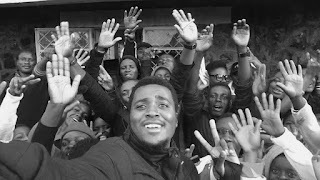 Many African youths hardly know if they are youths anymore given that the older generations have an intriguing definition of youth that encompasses everything except the youth. Such a definition serves one purpose only; justifying their clinging to power. Within this twist and the cliché that youths are leaders of tomorrow, many young people have imbibed the unhealthy notion and habit of living striver politics while hoping to accede to power at their “youth” as defined by the African gerontocrats; that is in their 50s. It is a regrettable fact for it has gradually killed the creative spirit in young people who now see daring and ambition as worthless and would rather cluster as apprentices to senile minds. In such circumstances the change sought for by many remains elusive as the real youth are absent and therefore powerless in effecting real policy change that could lead to more inclusion. For how much longer will Africa continue being the reason for its own predicament? Why have the young people resigned themselves to the unproductive ideologies of the old instead of tapping from their wisdom to propel the continent forward? These and more are questions we can’t help asking. I could’nt agree more with UN Secretary General who thinks that Africa’s mentality is dragging Africa’s change into the mud. This is obvious, for everything starts in the mind. Let us consider the notion of wealth. v Young minds have resigned themselves to the ‘reality’ that their turn for leadership is in an ever elusive ‘tomorrow,’ one which is ever yet to come. Leadership is not in parliament or government, even amongst friends, learn it. v Many young people are afraid to dare given that there is an imaginary crackdown mechanism set by old leadership for those who dare challenge. v Many have surrendered to despair, thinking that only some future unborn generation can bring the change. LIES! ü African youths must live like there is no tomorrow, everything happens NOW! 1. Change oneself, one’s family, and the community as a whole will be changed. Well, let’s not take too much for now – CHANGE ONLY YOU! 2. They must shun the tendency of transferring change to future generations. WE CAN, AND NOW. ü We mustn’t surrender to fear for fear fears those who dare. ü We must give value to what we earn from our innovations or sweat no matter how small it is. It is not wealth that makes a man. Integrity does. Africa remains the mother of humanity and the youths are her hope. There is no Africa, no true Africa without the young people. The right young people for the right Africa. Strive to change only YOU, and you have changed the world. AFRICA is you, so make your Africa. "Many African youths hardly know if they are youths anymore given that the older generations have an intriguing definition of youth that encompasses everything except the youth. Such a definition serves one purpose only; justifying their clinging to power." This statement shows how the different age groups in Africa are working on the same objectives and vision whee the main problem is communication. Once an idea is brought up by the elders for the youths many of them will be ready to counteract without fully following the details. Like in Cameroon with the Vision 2035 which concerns mainly the youths many are those who are not aware of what it means, the objectives and vision but have been coming up with many talks on how it will never succeed.